Our next meeting will be held at 7:30m on Wednesday November 7th in Maple Hall, Maple Close, Brentwood, England, CM13. Our monthly meetings are open to supporters and members alike – if you oppose the government’s assault on our living standards or are fed up with the anti-democratic conduct of the current Brentwood Council Tory administration, why not join us! We normally begin by making friends and catching up over a cup of tea or coffee. There is usually some business to conduct, but our main focus is on political debate and policy formation. The Labour members of Brentwood Borough Council have been working hard on your behalf since the last election to ensure that frontline services are protected in the face of unprecedented funding cuts. Now is the time for action. To highlight our intentions and the difference we could make, we have produced our Manifesto for Brentwood which outlines our five pledges to the residents of Brentwood. require private landlord accreditation to provide decent accommodation and support private sector tenants. support only proposal where roads, transport, schools, green spaces and surgeries are guaranteed. use all avenues to protect our post offices, pharmacies, high street banks, sport clubs, pubs and independent shops. work tirelessly to improve response time to repair roads, fill potholes, replace broken paving and make cyclists safe. support local entrepreneurs to start business and provide mentorship. 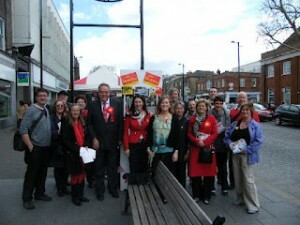 We are campaigning for the Brentwood Borough Council elections due to be held on Thursday 3rd May. As a democratic, socialist party we welcome people to join the party from all walks of life, to have their say, elect candidates for election and debate & influence policy. For newcomers, working out how everything fits together can seem a bit of a maze – but don’t let that put you off as there’s a common goal: ensuring the party remains open and democratic and helping maintain contact between the party, the people and the government. Our structure, and our open policy development process enables more people than ever before to have their say. The Labour party in Brentwood currently (December 2016) has over 700 members, more than all the other political parties locally put together. New ideas are vital if the party is to grow and develop – and your views, experience and help are welcome. Members are very different in their outlook, some preferring to pay their subs to support the party, others taking an active role in local politics and yet more enjoying the chance to debate national policy issues at meetings with a view to influencing the national party. It is vital to understand that in spite of our differences we actively maintain friendship and respect to create effective teams from all those who can campaign, form policy or raise funds. The Brentwood and Ongar Constituency Labour Party (CLP) is based on the electoral area for the election of MPs. Via your CLP, you can choose the members from your area to represent our local party at annual conference and you can help select the parliamentary candidate. The constituency is made up of twenty two local council wards, seven wards in Ongar elect councillors to Epping District Council and fifteen wards in Brentwood which elect to Brentwood Borough Council. Ongar Town Council and the Parish Councils also have representation. Meetings play an important role in debating key issues and agreeing the direction of campaigning locally. However, they can also become a matter of routine management, which can detract from the political interests members have. For these reasons, locally we hold monthly meetings open to all members and supporters to debate issues and strategies and we elect an Executive Committee to manage activity and a Campaign Forum to organise active members to deal with local campaign issues. 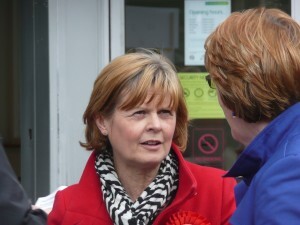 The Constituency Labour Party has two branches – Brentwood and Ongar. Ongar branch meets and operates independently with respect to its wards, parishes and its Town Council. Please contact us if you live in Ongar or in the parishes to the north and would like to support the Ongar Branch. This committee is responsible for managing the party’s activities locally, organising the agenda for our meetings, booking meeting halls, handling the finances and acting on behalf of the CLP members when appropriate. It is elected by the CLP membership at our Annual General Meeting (AGM) held in May each year. These are the current office holders for Brentwood & Ongar Constituency Labour Party elected at the AGM on June 6th 2018. Voting and non voting members are elected by the General Committee of all members present at the AGM. Coordinators are appointed by Executive Committee and may also be already elected to the Executive Committee. The CLP has established a Campaign Forum responsible for formulating and implementing Constituency Development Plans to promote local campaigning throughout the year. 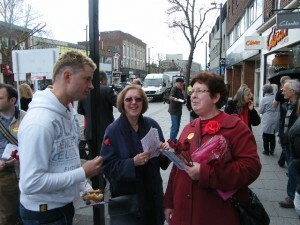 It will also oversee the recruitment and selection of candidates for borough elections and manage the campaign activity. 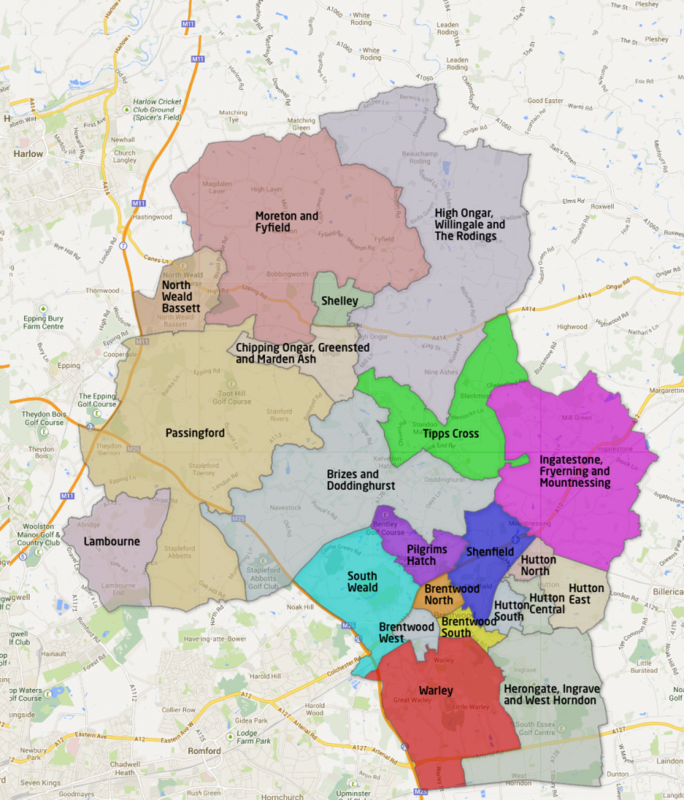 Its primary duty is to maintain our presence in Epping Forest District Council and in Brentwood Borough Council. Currently we have two councillors – Gareth Barrett and Julie Morrisey both representing Brentwood South Ward. At times of general election it will select a parliamentary candidate and organise a campaign. For Essex County Council elections there is an Essex Campaign Forum, which works to coordinate campaigning for county seats. As a party member you may also be invited to attend local and regional policy discussions throughout the year. Informal, friendly gatherings, each discussion makes submissions to the policy commissions. There is also an annual Eastern Region conference to which our CLP sends delegates. Submissions to the Labour Party do not have to stem from events, nor our own meetings alone. Anybody can share their views and ideas throughout the year, and several members have nationally recognised expertise which may be consulted by the national party from time to time. The NPF meets several times a year to make sure that the direction of our national policy reflects the broad consensus in the party. Between meetings, the representatives that make up the body liaise with the members, the representatives that make up the body liaise with the members, supporters and public who make submissions. NPF representatives will respond to submissions, ask questions and engage in on-going debate about the issues that matter to you, feeding them back when the NPF meets to move our policy forward. The NPF includes representatives of CLPs and regions, Labour Councillors, affiliated trade unions and socialist societies, the PLP, the EPLP and other stakeholder groups within the Party. 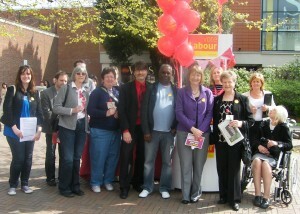 Made up of representatives from each section of the party – government, MPs, MEPs, councillors, trade unions and CLPs. Members vote for their CLP representatives in a ballot each year. The NEC sets the party’s objectives and oversees the running of the party nationally. The annual conference is the ultimate authority in the Party deciding the policy framework from which the next manifesto will be drawn and setting party rules. It considers the policy papers prepared by the policy commissions after consulting local parties. Members choose delegates within the CLP to represent them at conference – and those delegates could include you.